This is a model 416-810 Gruen Veri-Thin, dating to around 1953. The watch case has dramatically shaped fluted lugs that set this model apart from other watches of the time. 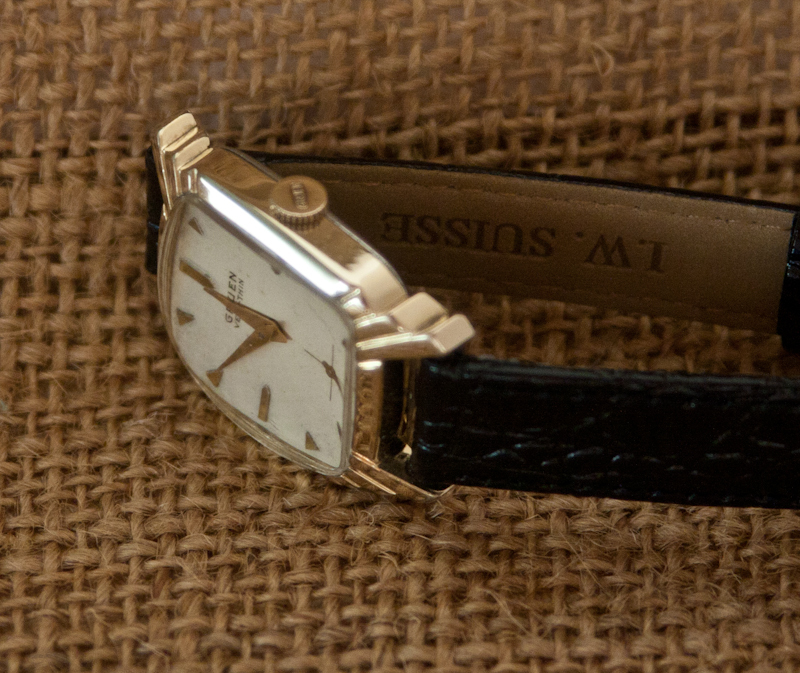 The watch does not have any brassing or wear through of the gold fill and the watch is in Very Good condition. 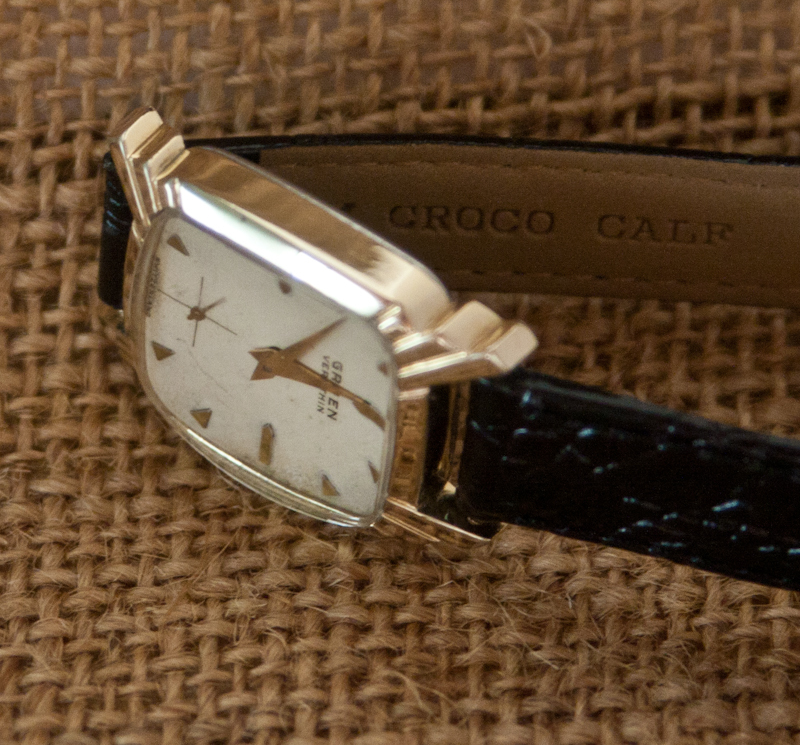 The bezel is 10K yellow gold filled and free from significant wear. The back is stainless steel. 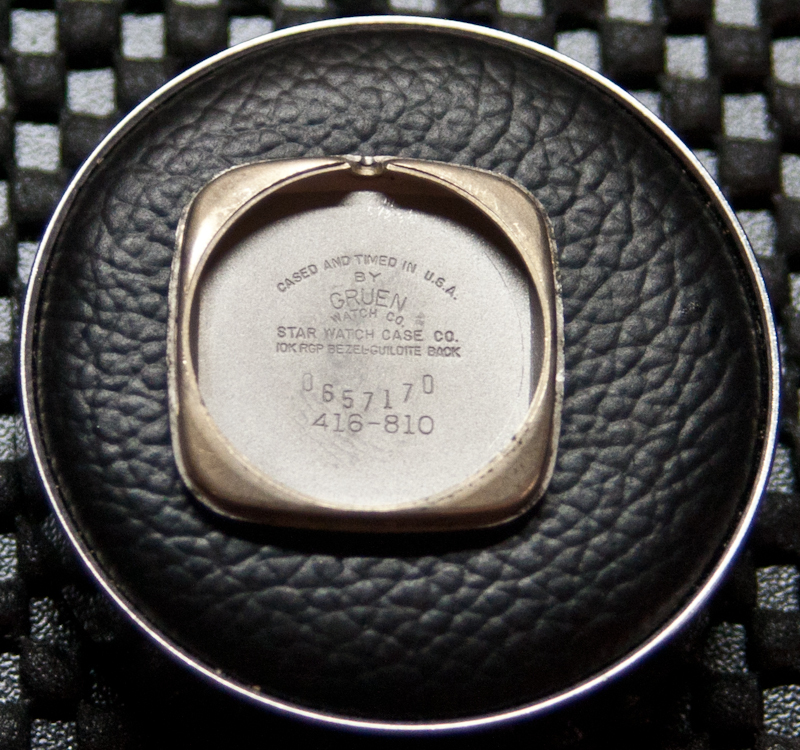 The crown is signed “Gruen.” There is no damage or wear through to the lugs. The dial is a cream color with gold applied markers. The dial does show some patina and some spotting in the top right quarter. The gold dagger hands are free from rust. The crystal is without scratches or chips. The watch is powered by Gruen’s 15 jewel 416 movement and it is running and keeping excellent time. 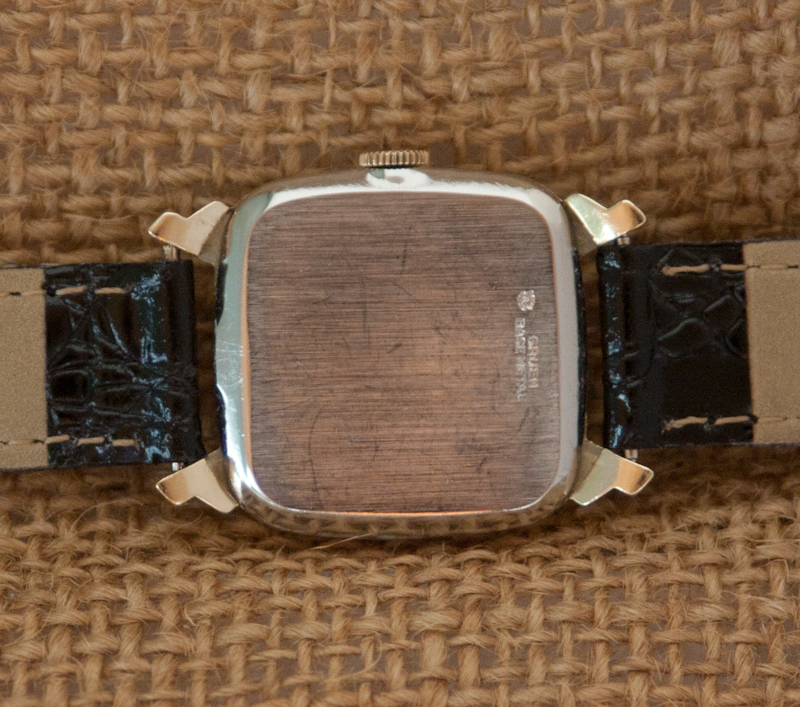 We’ve added a very nice new croco-calf leather watch band from I.W. Suisse. 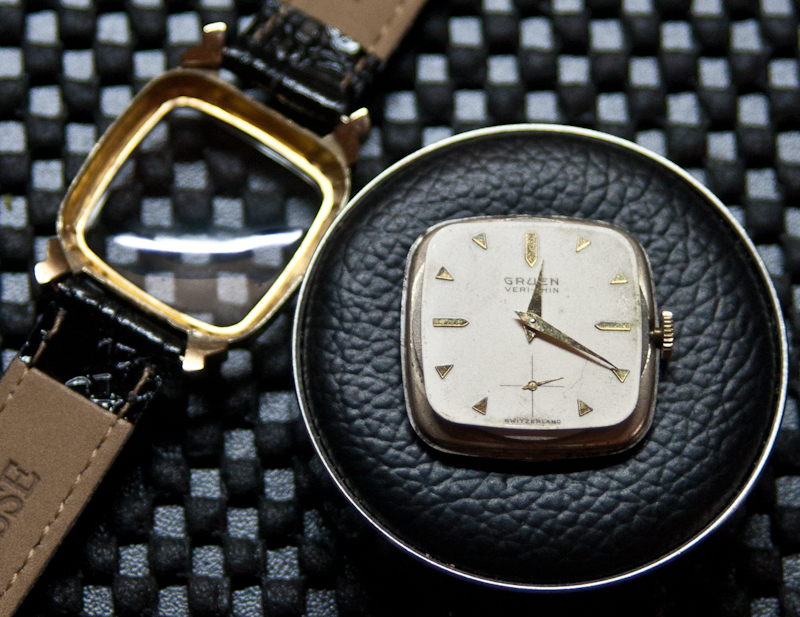 This is a (slightly) small watch by modern standards and would work equally well for men or women. The case measures 26.2 mm by 26.5 mm (not counting the lugs or the stem). 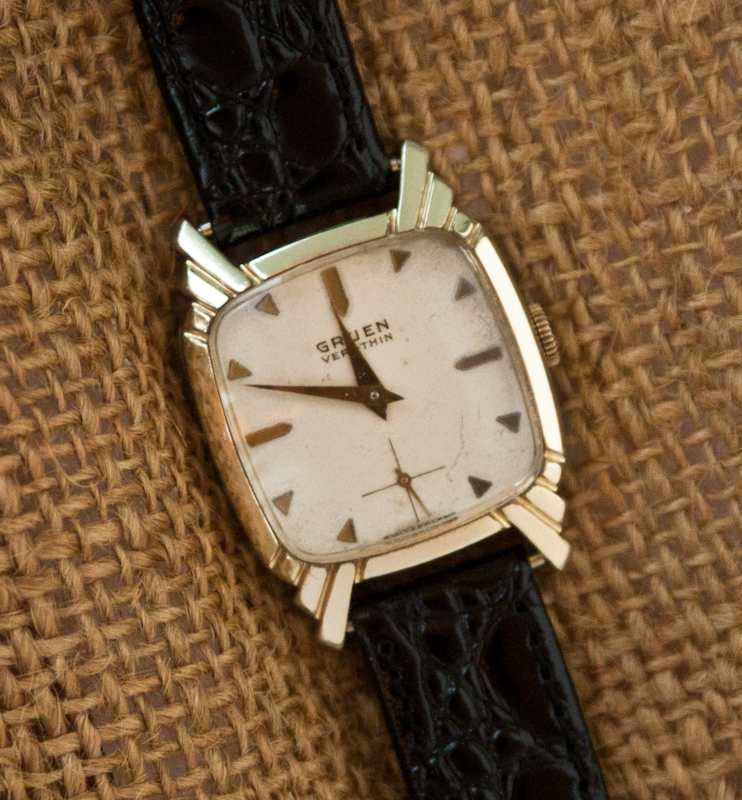 The service history of this watch is unknown and it has not been serviced while in our possession. 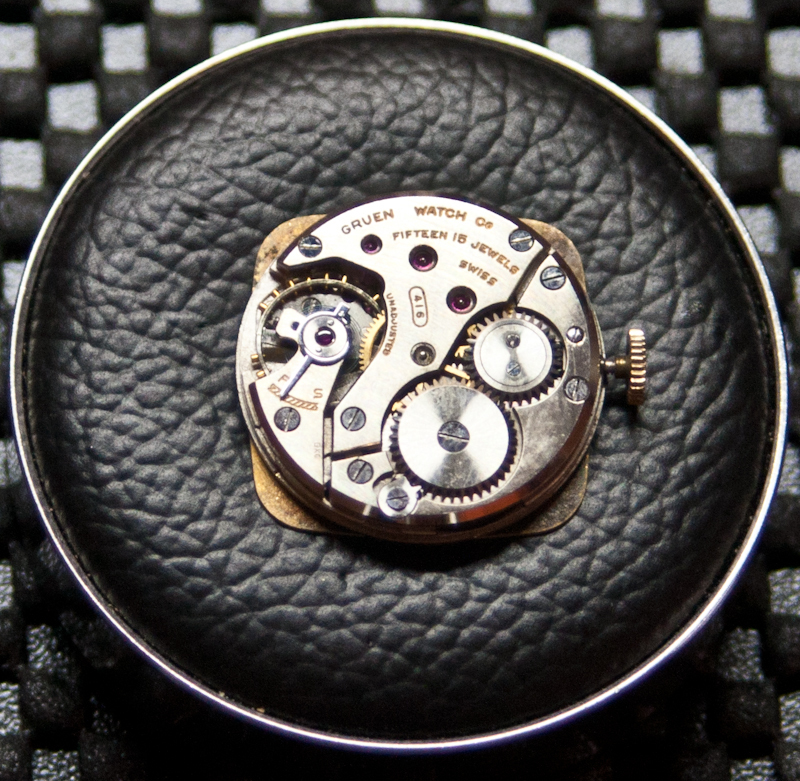 While the watch is keeping very good time right now, you will probably want to have a jeweler clean, oil, and adjust the watch to get the greatest accuracy and the longest enjoyment from your vintage watch.